Yank a trigger, and the fan whirs to life with the sound of a loud vacuum cleaner. Behind me, a red airbag expands quickly from my backpack. It forms a huge red halo behind my body in the bright sun, high in the Rocky Mountains. Thankfully, it was only a test. I deployed the JetForce Pro from Black Diamond during a gloriously uneventful ski tour. And while I had the chance to use it for only a few hours, it gave me a good feel for the $1,400 pack and a better understanding of why you’d want to buy one. 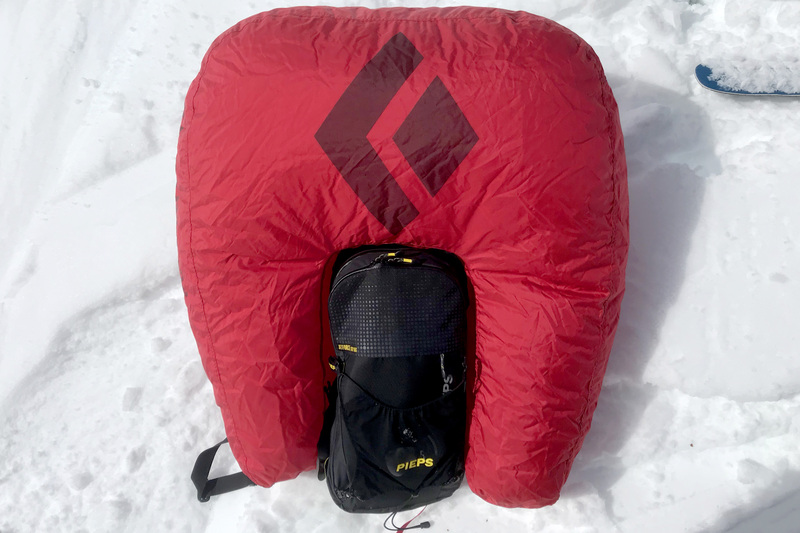 In short: The JetForce Pro uses technology developed by Pieps and Black Diamond to inflate the airbag using a battery-powered fan. This is the second iteration of this technology, and it saves some weight. But the big improvement is its modular pack attachments. 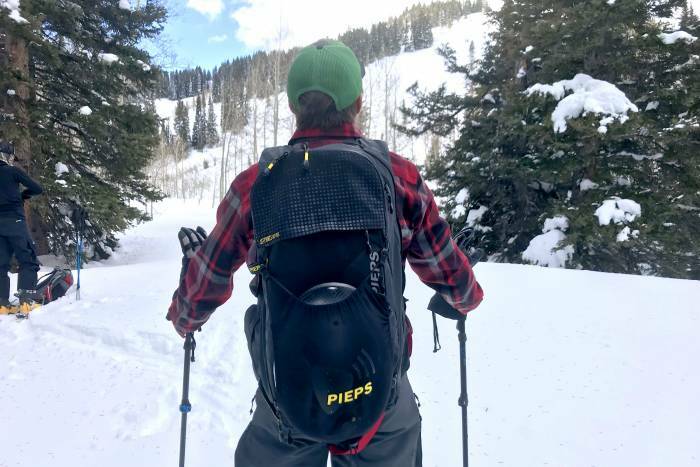 In a day of skiing, the pack worked flawlessly with easy carry, access, and airbag deployment. The JetForce Pro uses a fan-powered system to deploy its 200-liter airbag. This contrasts with many other brands that rely on compressed air canisters to inflate bags. The pro/con list of the fan- and battery-driven system compared with canister systems is long. But among the pros for the JetForce Pro are easy airline travel (compressed air is not allowed on airplanes in the U.S), four deployments on a single charge, and easy repacking in the field. The biggest con to the battery-driven system is weight. The JetForce Pro with a 10-liter pack weighs in at 6 pounds 3 ounces, including the 10-liter bag attached (the lightest version). The 25-liter bag weighs in at 6 pounds 9 ounces. While heavier than many canister-driven systems, it’s a half-pound less than the original JetForce, which tipped the scales at about 7 pounds 8 ounces. Canister systems also cost significantly less. Some systems by competitor Mammut cost less than $500 — nearly $900 less than the JetForce. 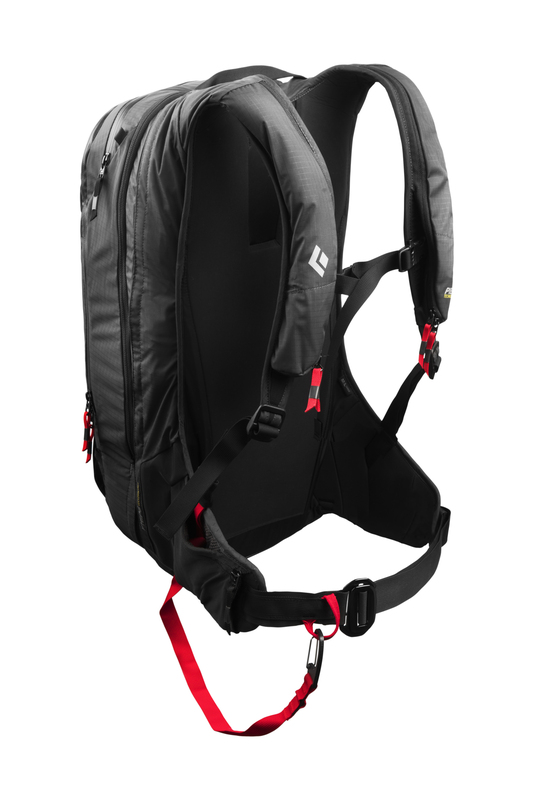 Beyond the airbag system, the JetForce Pro allows customers to buy zip-on packs. The 25-liter, 25-liter Split, and 35-liter Boosters cost $70. For skiers who may want multiple backpack volumes, it’s a cool evolution of the JetForce system. With such a big investment, it’s nice to have this added versatility at a minimal price addition. I used the JetForce Pro for a day while backcountry skiing near Carbondale, Colo. Avi risk that day was moderate, but with many recent “historic”-size avalanches, it felt reassuring to have an airbag on my back. My main sentiment about this pack is that it’s quite light. 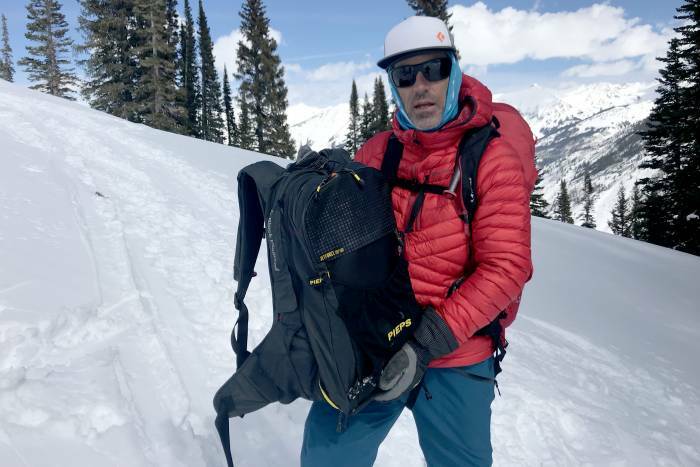 I’ve carried a bunch of avalanche airbags, and this one felt entirely light enough for a day in the backcountry. Uphill and down, it rode comfortably on my back. I carried a pretty small load that included a spare jacket, some water, my probe and shovel, and snacks. It all loaded easily into the pack. Zippers were intuitive. The crotch strap (which keeps the pack attached vertically to people caught in the avalanche) clips easily into a color-coded loop in the front. Shoulder straps adjust like any backpack. The JetForce system ran simply, much like the previous JetForce version. Turn it on, let the system run diagnostics, strap it on, and go. Again, this was a very short first look at a preproduction JetForce Pro. 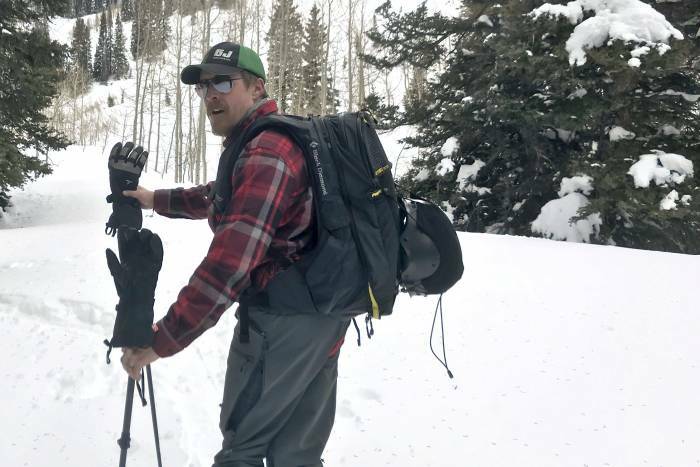 I did get the chance to pop it off in the backcountry, and everything functioned as promised and repacked within 5 minutes. I enjoyed the experience. For those who plan to carry an airbag on an airplane, the JetForce Pro should be high on the list. It’s a big investment, but the ability to use multiple pack sizes adds versatility to this potentially life-saving pack.